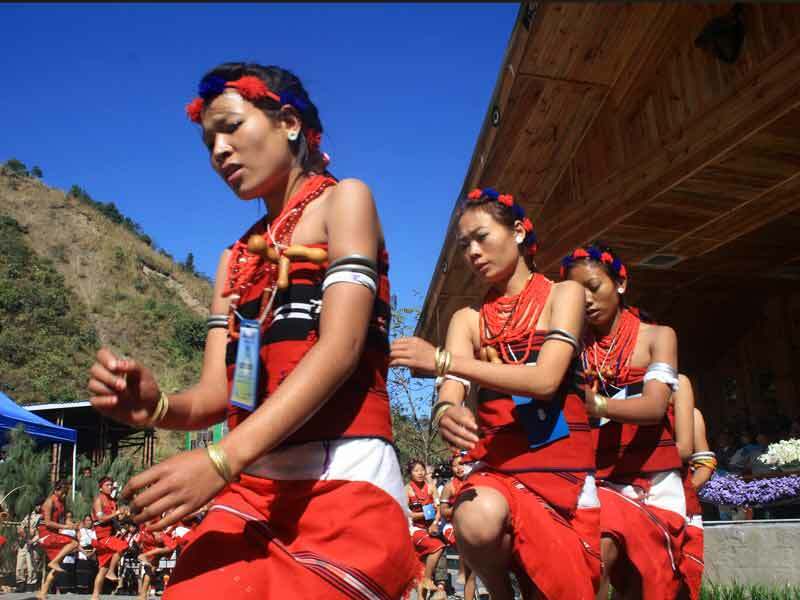 A land of incessant rainfall and thunderous waterfalls, Meghalaya stands true to its Sanskrit meaning ‘The Abode of Clouds’. 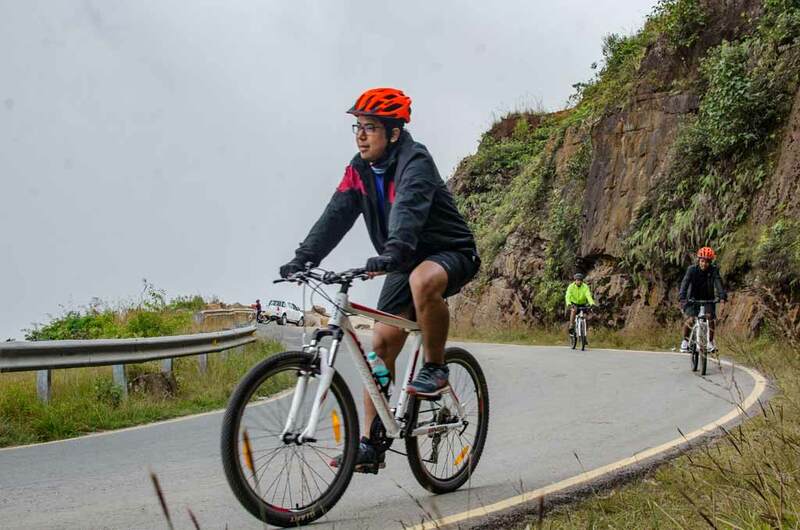 The low hills, with spectacular views, cool climate, and serpentine roads make it an ideal biking destination. 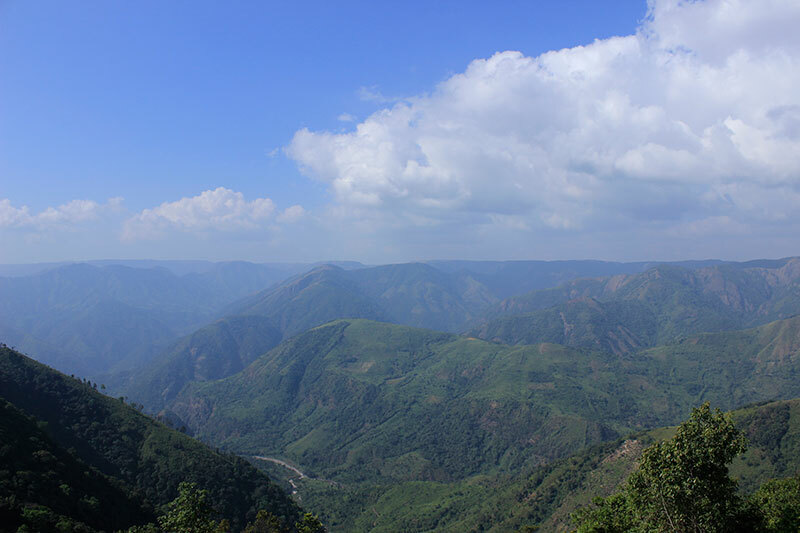 Our trip commences from the capital city of Shillong set amongst undulating pine-covered hills. Bustling markets, lively music gigs, and open gardens characterise this city, which still maintains much of its British Era charm. 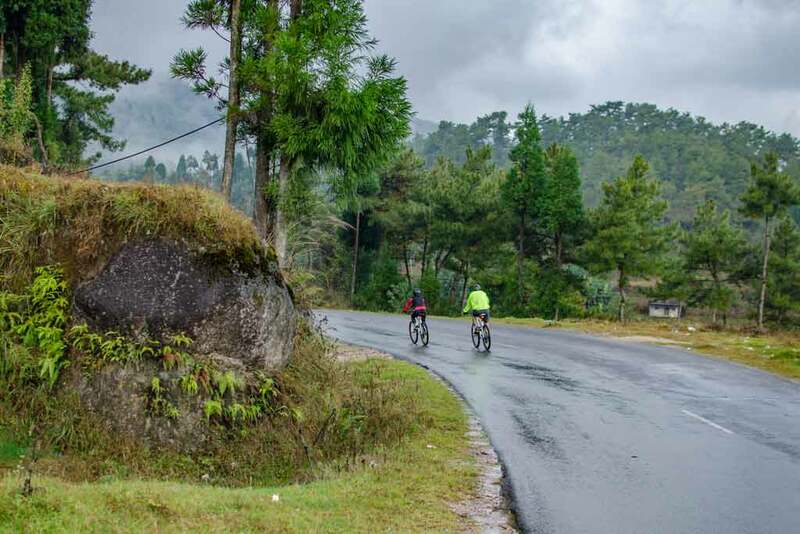 We ride to Sohra, more popularly known as Cherrapunjee, perhaps the wettest place on earth. We experience the beautiful waterfalls, surreal blue pools and the outwardly root bridges on our hike to Nongriat. From Sohra, we ride on towards Mawlynnong, the cleanest village in Asia. We proceed to spend a night on the beach by the river Dawki, with crystal clear waters. We wake up to a brilliant sunrise at the camp site, and trace our way back towards Shillong, where our journey ends. Pickup from Guwahati airport and drive to Shillong. O/N at Sunrise Guesthouse or similar. 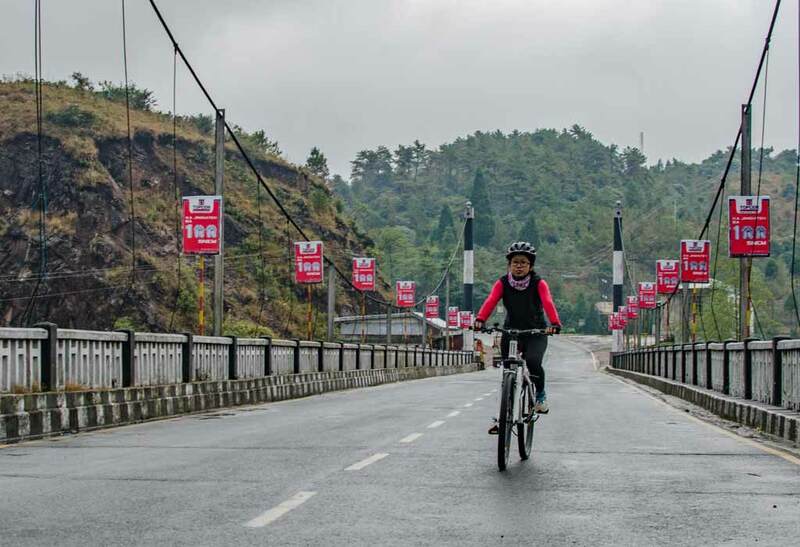 The first day of the ride, we avoid the steep slopes from Shillong city to the Air Force base. We start riding from near the Air Force museum. The terrain is gentle and undulating from here, and we pass by terraced hills. We cross Umtyngar, continuing on the road to the right. We go across a bridge at Duwang Sing Syiem view point. Here we stop for some refreshments. Then we cycle with beautiful table top mountains on our left, and then onward to a plateau, before the final climb to Sohra. We cycle downhill towards our destination – the double decker root bridges in Nongriat. 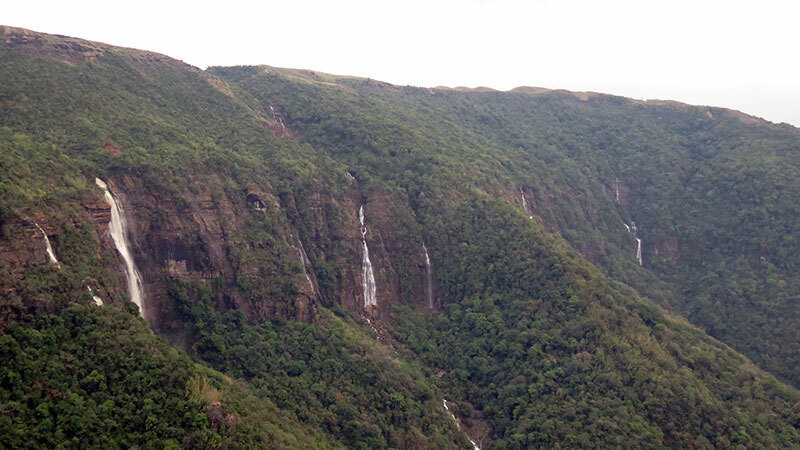 En route, numerous waterfalls dotting the wooded hills are a sight to behold. We end our ride at Tyrna village, and then descend more than 2000 steps into the valley. 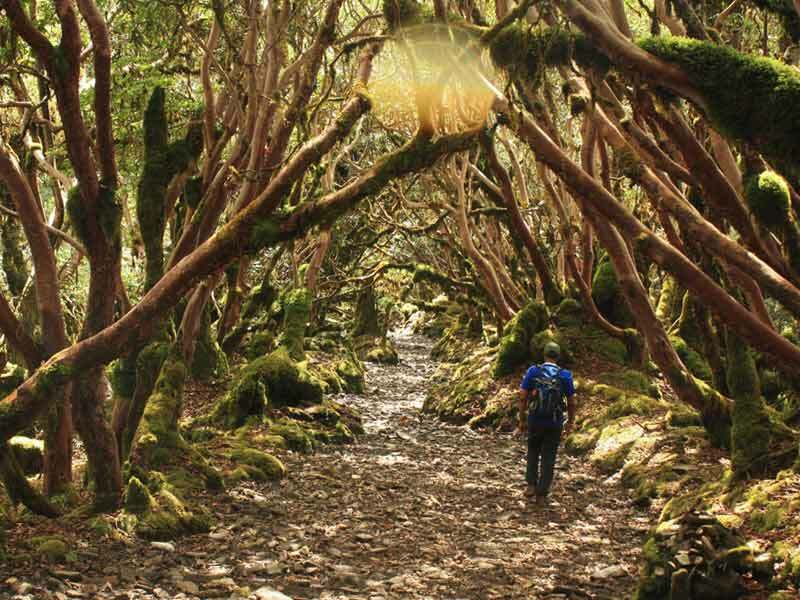 The trek passes through verdant slopes, criss-crossed by streams. At some places the stream has made some natural ponds, containing emerald blue water where you can take a dip. We cross a couple of long metal hanging bridges, to finally reach our destination. 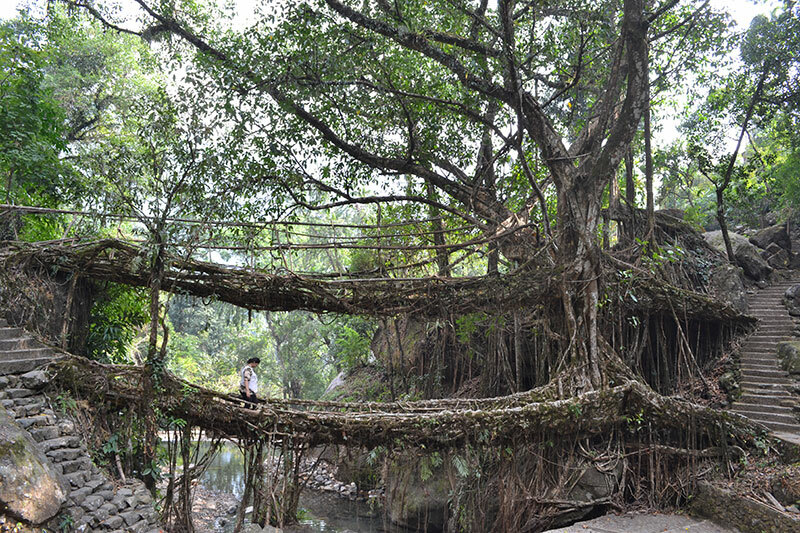 Living Root Bridges are unique live bridges found only in the Khasi Hills of Meghalaya. The secondary roots of a species of Indian Rubber Tree FicusElastica- are nurtured over 20-25 years to form these living bridges to cross fast flowing rivers and streams. Some of these bio-engineering wonders are 53 feet, 70 feet, 100 feet long. The Double Decker Root Bridge has two levels. They are very strong, can carry many people at a time and perhaps can last 500 years. O/N in Sa-I-Mika Park. Today we retrace our path to Umtyngar. From Umtyngar, we move towards Mawlynnong, the cleanest village in Asia. Familiar rolling hills accompany us on both sides. In the evening we walk around this picturesque village and climb up a machan from where we can enjoy the setting sun over the plains of Bangladesh. O/N in community cottages in Mawlynnong. In the morning ride to the neighbouring village of Riwai to walk to a beautiful root bridge. From here continue our descent to Dawki . We cross Dawki River, and Dawki, where we get a clear view of Bangladesh plains. Moving onward, we cycle to Shnongpdeng, where we are to camp on the banks of Umngot River. We are ferried in boats to our campsite. The last few kilometres on the road are quite rough, but the place is worth the trouble with clear, turquoise water and pristine surroundings. We spend the evening relaxing by the river side, with camp fire at night. O/N in tents. We start early towards Shillong. This is the longest day, but also our last in such beautiful hills, so we enjoy it as long as we can, going at our own pace. If time permits we can visit Police Bazar. O/N at Sunrise Guesthouse or similar. Drop to Guwahati airport, to board an afternoon flight. A Tempo traveler to transport people and cycles for the duration of the trip. Any other item not mentioned in “Cost Includes” section above.